What a time we had in the Lord’s presence at Ladies Conference 2016! This year’s theme was “Diamonds.” We are precious jewels in the sight of the Lord. Though at times we may feel like just a lump of coal, all ugly and dirty, God sees us as bright shining diamonds! We just have to allow Him to mold us into His image. Start planning now to attend next year, April 27th – 29th, 2017 in Springfield, MO! The Ladies Auxiliary department for the UPCI began in 1953. In 1956 the Mother’s Memorial began with the first national offering of $4,930.63. Last year $2,717,409.50 was given nationally. 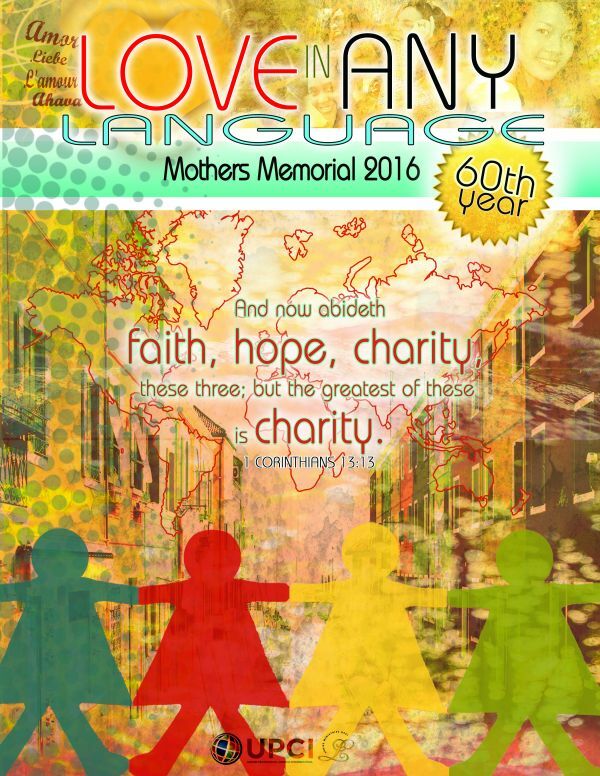 This year celebrates 60 years of giving to Mother’s Memorial. Through the Ladies Ministries Division, Mother’s Memorial supports many other ministries of the UPCI: Tupelo Children’s Mansion, New Beginnings, UGST and Urshan College, also supplying foreign missionary families with home appliances, children’s birthday cards, and the list goes on. I remember the many dinners and bakes sales that our church ladies would put together in efforts to raise money for this great cause. While we worked hard on these events, I was taught the heart of giving to Mother’s Memorial was to honor your mother, living or dead, and other significant ladies in your life. Yes, we have many financial needs of our own, but when we give sacrificially to the cause of the Kingdom, I believe we will be personally and collectively blessed. Thank you to those who gave at the Mother’s Memorial kickoff at Ladies Conference; we’ve already gotten a good start on a generous offering! We ask that if you are able, give the gift of love this year in honor of a special lady in your life and see what God can do for and through you!